Carlsbad is America’s best beach town. Carlsbad boasts 7 miles of wide, golden sandy beaches and three lagoons. One mile of this scenic beach is bordered by the Carlsbad Sea Wall – a wide concrete walkway popular with joggers and walkers. Carlsbad’s weather is never too hot, and never too cold. Its quaint downtown village, located just a few blocks and an easy walk from the beach, has all of the shopping, dining and craft beverages a person could dream of. Whether you explore the city on a beach cruiser, electric or 10-speed bike, a street legal electric cart, a skateboard or even enjoy the novelty of doing it on your own two feet, Carlsbad is sure to deliver fun and diverse experiences. Create a new Sunday morning tradition of walking to the village for craft coffee, donuts or a full, scrumptious breakfast. Attend the Carlsbad Village Faire, held semi-annually – the largest single-day street fair in the US – or, the annual January marathon. Carlsbad is a family friendly city. You kids will LOVE living in Carlsbad! Of course, the beach will be at the top of their list of things to do. But the city also has the Legoland theme park, Legoland water park, the SEA LIFE Aquarium, indoor go cart racing, surfing, paddle-boarding, kayaking, wake-boarding and jet skiing on the lagoon. Explore tide pools, skate parks, enjoy outdoor movie nights, Carlsbad’s flower fields, ice skate, or learn to play hockey at IceTown. There is also the Kidsville Playgym, beach side camping at the State Park, indoor skydiving and much more. The best Carlsbad 55+ communities are located in Camino Hills, El Camino Estates, Lakeshore Gardens, Rancho Carlsbad, and Solamar. Read our article on Where to Retire in San Diego? 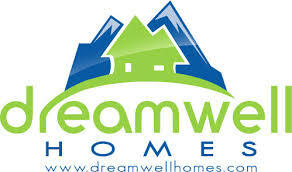 Here at DreamWell Homes, we connect amazing and wonderful people with great real estate agents to help them buy and/or sell a home.